Need swimwear that reflects your unique style? A new swimwear brand emboldens wearers to embrace and celebrate every individual body, no matter its shape. Founded by Maria Luisa Mendiola, Miga Swimwear is working to shift the paradigm in fashion where women, regardless of physical ability and diverse shapes, feel their bodies must fit an archetype to be deemed beautiful or stylish. To counter the mentality that the body is a problem, Mendiola approaches her design by making the customer a part of the process from the beginning. All of an individual’s unique needs are considered when creating these custom garments. To wit, Miga’s current clients include burn survivors from NY Presbyterian Hospital. Pieces include a seamless beach cover up for an individual who previously couldn’t wear jeans because the seams would aggravate her burn scars, and a swimsuit with matching gloves for a client with a scarred hand. The suits are bold and striking. The idea of defying the current fashion industry to empower and celebrate women with different bodies came from Mendiola’s own struggles with disfigurement. Originally in finance, Mendiola switched gears to the creative when she decided to pursue her M.A. in design thinking at Central Saint Martins University of the Arts in London. 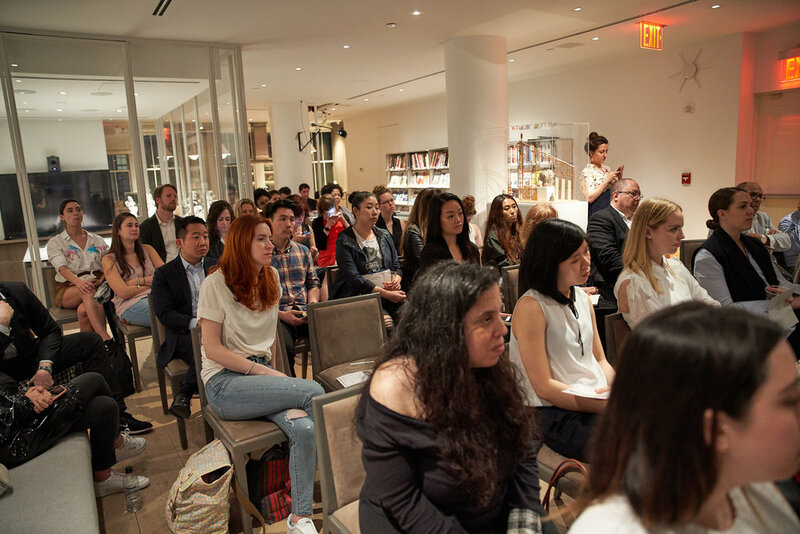 Courses in her specialty urged designers to take inspiration from personal experiences to problem-solve. Moodboard for brainstorming shapes and colors. Despite dealing with her condition all her life, even as recent as three years ago, Mendiola would freeze when asked about her toes. But taking part in the Saint Martins program encouraged her to dig deeper. Part of that awakening, she explains, included understanding that the current fashion industry demands standards of perfection that no one, disfigurement or no, can fulfill, something she fully realized when a volunteer model she was fitting a garment for started apologizing for her body. “You can’t bring about change unless you change yourself first,” she said. That is what she feels Open Style Lab is getting right about fashion. “I love the tagline ‘designing for people of all abilities.’ It gets right to the focus of style and function for everyone,” she said. After all, owning your style empowers you to own your personal story and reserve the right to define yourself. To read more about Miga Swimwear, check out its Kickstarter here. We invited the public to #HACKITBACK with us at the MEET THE EXPERTS EVENT on October 12-14th (FRI-SUN) at Chelsea Market (10th ave side) from 10-5pm. Participants were asked to hack existing products, make design sketches, and ideate on accessibility ideas with the Open Style Lab Team. 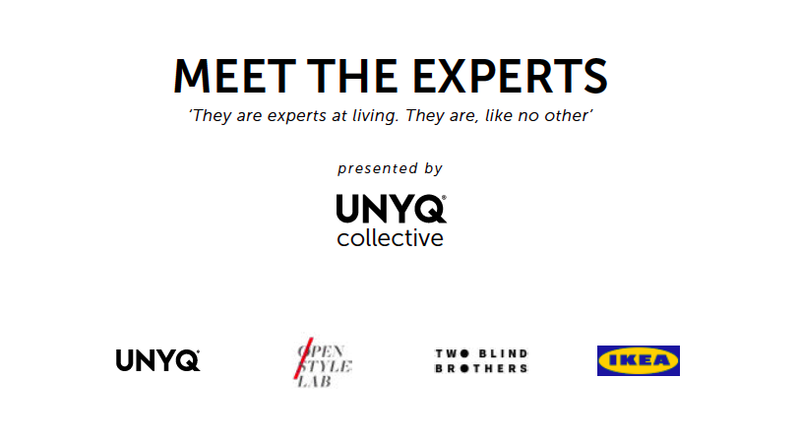 We’d like to acknowledge the support UNYQ, IKEA, and the NYC Accessible Dispatch Transportation Service for this event! In New York City, nothing happens in a small way, so when a deluge coincided with the OSL INC.LUSIVITY panel at Yabu Pushelberg Studios, the panelists and attendees knew it was time to break out their chicest rainwear. The panel consisted of industry professionals at the forefront of inclusive style discussing how businesses can open their organizations, products, and marketing to include all people regardless of gender identity, race, class, sexuality, or disability and move their businesses forward. 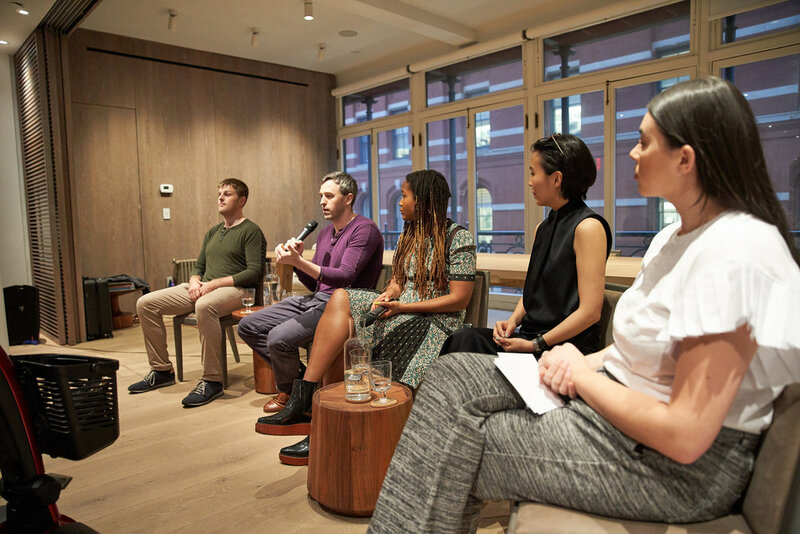 Fashion Editor, Lauren Chan ,moderated a panel that featured: Social Activist and Social Media Manager at the Met Kimberly Drew, 2 Blind Brothers Founders Bryan and Bradford Manning, and Open Style Lab Executive Director Grace Jun discussed how and why businesses should embrace inclusion. Kimberly Drew is an African American woman in a field dominated by white men, she works to keep being heard and have a place at the table. In 2016, she took part in a call-and-response artist talk series called Ten Arguments. For her “argument”, Drew was paired with deaf sound artist Christine Sun Kim. “I realized, I didn’t know how to engage her.” She calls their first meeting a “talk failure.” Eventually they worked through it together. This illustrates how when people are underrepresented even the most forward thinking may not have the toolkit to engage them in a meaningful way. They just have to be willing to put in the work. Guests, friends, and supporters of OSL's mission. Two Blind Brothers speaking about scaling t-shirt business. Bryan Manning says that technology, and social media has enabled companies to reach niche customers in a way that was impossible five years ago. The 2 Blind Brothers inclusion strategy is three-fold. They market to their niche; the clothing is manufactured at the Dallas Lighthouse for the Blind . Seventy percent of the staff are blind/have a visual impairment, and the profits go towards curing blindness. Bradford Manning expanded on targeting a diverse niche. “It’s not about virtue signaling, be super-authentic and genuine to the community you’re serving.” Grace Jun noted that “It comes down to having the conversation about ageism and disability.” Conversations about race, size, gender identity, and disability disrupt industries. She shared the importance of being a part of the community you serve, and of knowing where you want your company to go. “Approaching partners is like speed dating.” With a well thought out explanation of what you are doing, you show your commitment. In Drew’s industry, “Art is complicit in a lot of ways, it is comfortable with the ills of racism, ableism, and patriarchy.” She continues that when an individual is an expert or authority it can be hard to question them. Drew refers to herself as a “Warrior of Small Battles.” Email is her weapon of choice. She encourages others to call out the micro-aggressions that may be overlooked in order to keep moving forward. To keep businesses moving forward Bradford advises that “When compassion fails, hit them in their wallet.” The reality of is inclusivity, it is not just a “feel good” initiative for a business. Whether designing super-premium shirts, art experiences, or adaptive clothing, opening a brand up to diverse populations isn’t “nice”, it is necessary for businesses to maintain desired trajectory. Our work on making style & technology accessible for people of all abilities is powered by the MAKEITFUND by Squarespace x New York Knicks. We are proud to be named one of the four Squarespace Make it Awards winners and an Official Entrepreneur of the New York Knicks! 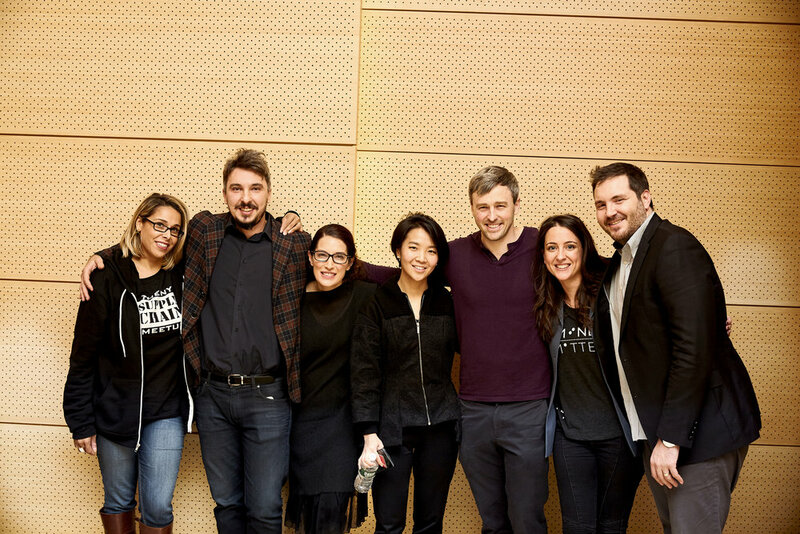 The award will support in the hiring of people with disabiltiies to the new 2018 team and provide material funds for our 2018 Open Style Lab summer program at Parsons School of Design, The New School. WWW/FASHION: What's Wrong with Fashion? To create a collective event series, Eray/Carbajo, has have been working on What's Wrong With - diagnostic panel discussion led by architects, designers, and creatives to assess problems in industries or fields and listen to proposed solutions by professionals doing progressive work. All events like www/Cities and www/Housing, all profits were given to nonprofits doing progressive work in corresponding fields. The What's Wrong With Fashion? (www/Fashion) brings together progress makers of the fashion world to diagnose today's problems and methods to bring fashion forward. 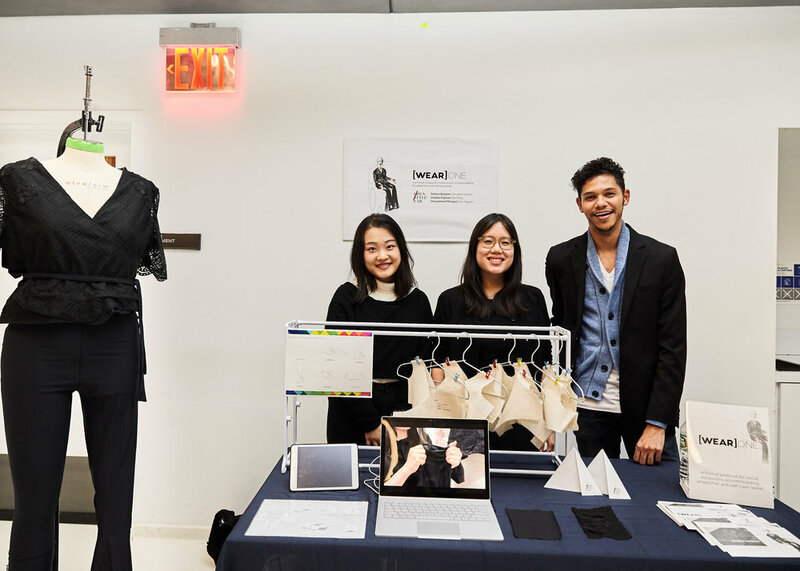 Industry professionals and firms doing progressive work to move fashion forward, had gathered at Parsons School of Design in New York to drive a conversation on the challenges in the fashion industry. From production line to education, each panelist shared the difficulties in scaling and creating an impact.